Are you still kicking yourself that you didn’t get in on Netflix before it soared to almost $400 in the stock market? No worries, because the UFC returns this weekend with some different investment opportunities for you to put some cash in your pocket. 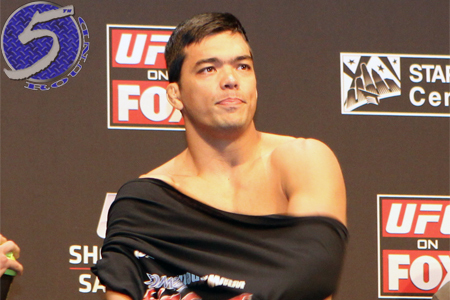 A pivotal shootout between former UFC light heavyweight champion Lyoto Machida (pictured) and Mark Munoz headlines the show. Speaking of bets, rumor has it the two former training partners have placed a friendly wager with each other that the winner will buy dinner. According to the Gambling Gods, Munoz better be prepared to crack his wallet open. Manchester Arena in Manchester, England hosts the festivities.